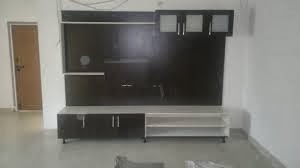 The TV stand cabinets we offer has various features like built-in box type with glass doors, wooden doors, shelves inside to store VCD and DVDs. We also offer cabinets which are very stylish and sleek which suits modular interiors. Other models like corner TV cabinets, contemporary and exotic models are also available in our showroom. Various material cabinets are available with us like wood, glass and many. If you are looking for a perfect TV cabinet visit Dream Space.